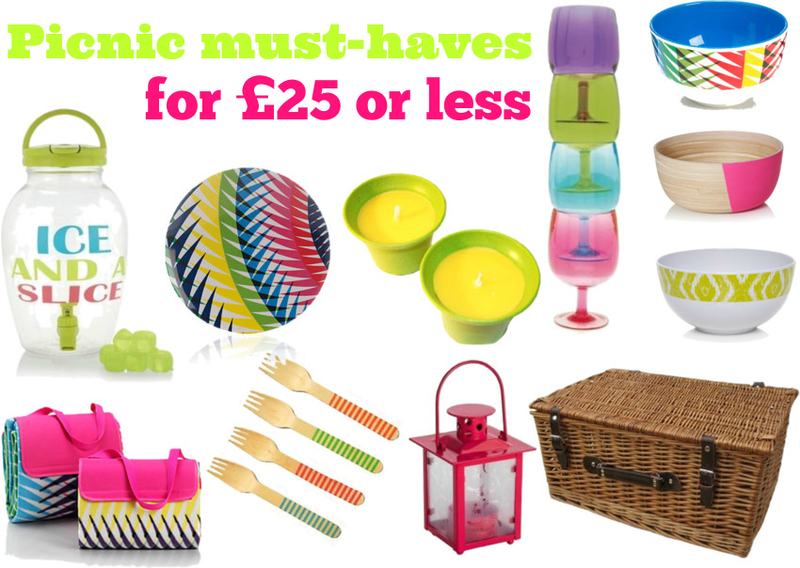 It’s picnic season and I couldn’t help but put together a little selection of the ultimate picnic must-haves for £25 or less. They’re bright, colourful and perfect for summer – even if it’s a typical English one. Most of these items are available on the high-street, but for some you’ll have to pop online because let’s face it, that’s where the party is at, if you want to find some real bargains and that’s what some of these picks are. They’re a bit different and will definitely bring a pop of colour to your picnic or garden party. What do you think? What are your picnic must-haves? And what’s your favourite picnic food? Let me know in the comments below! Love the bright colours here, and the stacking wine glasses are gorgeous – must get some before we go off festivaling next month! I really want one of those baskets now! Badly! I love bright colours and that is a great collection there, love it all! I need to invest in some picnic crockery, we usually end up eating off the lids to the plastic tubs. Loving the bright, happy colours that you have selected. Oooh, I am loving the rugs and we need a new one 😉 I am also desperate for a proper picnic hamper! The rugs look perfect. I’m hunting for a good rug for the beach this summer and those are so colourful! I’m usually not into bold colours, but I love them in summer and the rug literally jumped at me. I love it! I wish Germany had scotch eggs – they really are my picnic essentials!